Beautifully illustrated is the first thing that comes to mind when thinking of this book!Purchased the book for a friend who travels to Turkey once or twice a year!She has made several of the recipes so far and we are both impressed. This is a very easy cookbook to follow. The dishes are delicious, very authentic tasting, and lip-smacking good!I'm so happy to have found this book! 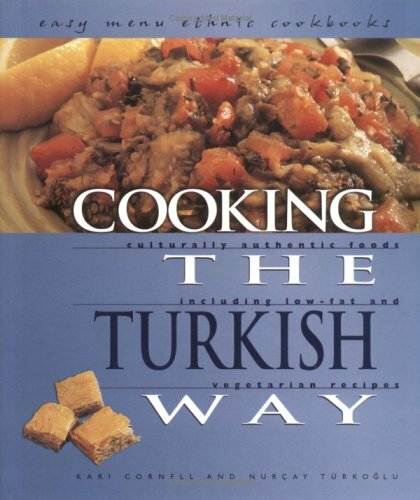 Although this is an older book it remains one of the best introductions to Turkish cooking for the non-Turkish cook.The recipes are easy to follow and every one I've made was delicious.I had an earlier copy of the book and have used it for years while cooking for my Turkish husband and friends and it has never disappointed.My husband claims that learning to cook Turkish food was an elaborate plan on my part to snag a Turkish husband.I guess it worked since we have been married since 1983. 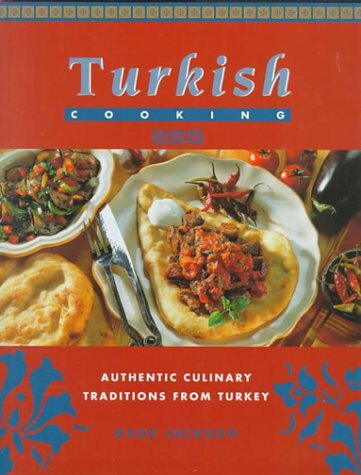 I am a Turkish person living in North America and it is difficult to find right ingredients and measurements for majority of recipes in Turkish cookbooks. Whichever recipe I tried from this cookbook turned out exactly how it looks and tastes as the one you would find in Turkey. It is a fail-proof cookbook. I have the original edition printed in 1969 by Doubleday books. This is probably the best Trukish cooking book still out there. The one thing is it is missing in todays cookbookbuyer expectation is the pictures, butthat usually is not that important unless you plan on leaving the book on the kitchen table to be browsed as most people do. this is a beautifully illustrated book, with interesting text about the different cultures, and great recipes. 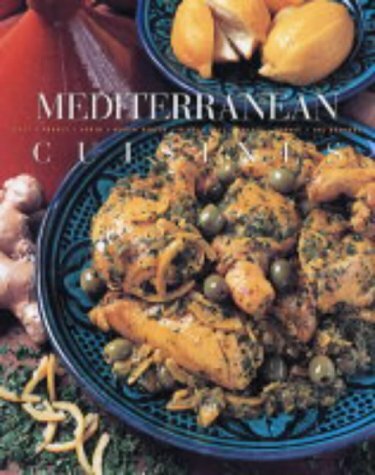 This is an excellent cookbook packed with many recipes for making authentic Mediterranean cuisine.Our family is very fond of Mediterranean cuisine and at times we have tried other recipes (not from this book) to make various dishes at home.None of them really turned out the way we expected them to.They did not taste the same as those made in authentic Mediterranean restaurants. That all changed once we got this book.I've tried several dishes and they all turn out pretty much the same as we expect and the way we like them from eating out.Whether is hummus or baba ghanouj they turn out just like in the restaurant.It's a wonderful book, nicely bound with lots of nice color pictures.I highly recommend this book. This was a really wonderful collection of tasteful recipes (to my eye, haven't made any yet) that appear very thoughtful and well-composed. I have not seen a better middle-eastern cookbook. I'll start by saying this absolutely should have been a 5 star book. Full of gorgeously-photographed recipes from Morocco, Turkey and Lebanon, this book should keep an adventurous chef busy for years and introduce a slew of favorites to any family's meal rotation.The recipes range from extremely quick and simple, quick appetizers and desserts that require little to no cooking, fish dinners with simple sauces that can be prepared in < 10 minutes, to long afternoon culinary undertakings like the delectable Moroccan bastilla. I got the book three years ago and have made perhaps half the recipes in it.Most have turned out great.A few have required some tweaking but have since become mainstays.The reason I deducted a star, though, is that a few recipes are potential disasters that should have been caught by testers or a sharp-eyed editor. The main problem I ran into was with cooking times.Several braising recipes consistently take 50% longer than Ms. Roden suggests they will, while other recipes are intentionally vague on the cooking time and may result in a very late dinner.Others, such as the Moroccan lamb patties, result in blackened chunks of charcoal and probably a grease fire if you follow the book's instructions. So while the book is excellent and I heartily recommend it to any cook, think about the cooking times carefully, compare them to similar dishes you have made in the past, and be ready to tweak seasonings on a few recipes to get them up to par with the rest. I really wanted to like this book as my favorite part of traveling is eating, but I honestly did not find it helpful at all.It's advertised to help you with market foods, but there are no pictures.I had Rick Steves' Istanbul guidebook with me, and I found his description of Turkish food, food phrases, and eating habits more helpful than this book. This book was sooo helpful for our week stay in Istanbul. I could see some other jealous tourists on other tables, they'd kind of be trying to see what book I was furiously pondering over when I had our menu in front of us as they sat on their table wondering what the heck they should order. I did mention the book to a few other people and am happy to give it a 5 star rating here. The book was a perfect size for us because the pages of the book are a decent size so the book is thinner (rather than being small pages and a thick book). It fit easily into one of our bags and didn't bulk it up. Very light and easy to carry around on our travels. If you're going to Turkey, buy this book. Not a lot of menus are in english and many servers don't speak english so this book will at least get you most if not all the way in figuring out exactly or close to what you're ordering. 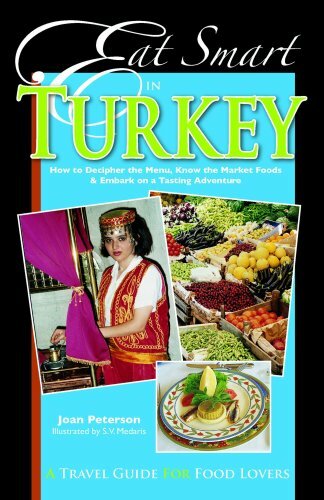 This is a fine look at turkish cuisine and culture.It goes into the history and the different regions and includes a selection of recipes that can be tried at home.The turkish language section is particularly useful as an aid to learning appropriate words and phrases to be able to order food and drinks in restaurants, bars and markets. The best culinary guide to Turkey--period. The long title of this book does not even say it all. 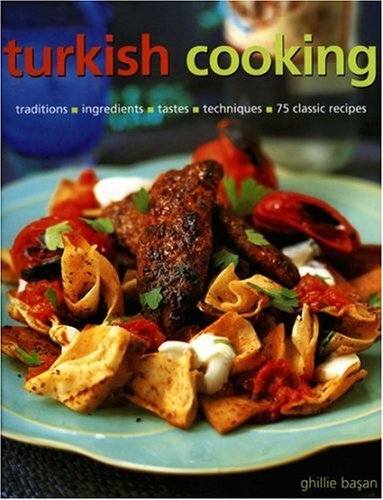 It's undoubtedly the bestguide to Turkish cuisine *by far*. 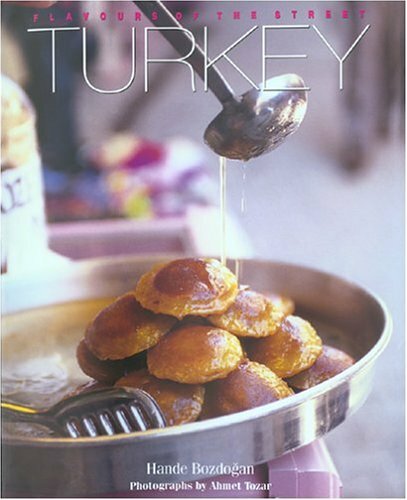 I've written best-selling guidebooks on Turkey for nearly 40 years (first for Frommer's, then for Lonely Planet for 20 years), traveled (and eaten) in Turkey almost every year since 1967, and Peterson's book still taught me lots of new and interesting things about Turkish cuisine. I'm still learning from it. This was not a contract job done on assignment for a big publisher in a hurry. The authors are obviously heart-and-soul foodies who started publishing their own culinary guides because they couldn't help but do it. It shows. And they're not gourmands, but gourmets: they are truly fascinated by the subtleties in the art of delighting the palate. To most writers, food is necessary and fun. To the authors of this guide, food is tradition, art, innovation, achievement, delight. And Turkey is a great place to be a foodie. Once the center of a vast, agriculturally rich empire home to hundreds of peoples and cultures, it developed an elaborate and subtle cuisine based on careful preparation of fresh ingredients. It's the perfect country to travel through with a food guide, and this is the guide to take. I truly wanted to like this book. I like travelogues to tell the reader about the culture while delving into the recipes. 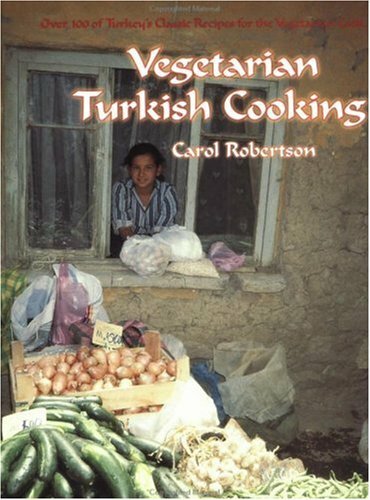 Unfortunately, I found the recipes were actually the same meat based dishes from her other book "Turkish Cooking" with soy subsitutes where the meat would be. Broth becomes non-meat flavored bouillon. I'm upset to have found only a handful of actual vegetable based recipes. Alas, vegans will not find anything of use in this book. I then flipped through the sister book, "Turkish Cooking," to find the same layout and identical recipes listing the originally intended meat or fish. Dear seeker, I'm very disappointed to say that you are better off purchasing the other book for the real deal and seeking another title to truly find Turkish vegetarian recipes. This cook book includes many good recipes, however in most recipesmeat/chicken/fish originally required and the suggested replacement is flawared soy based meat substance such as tofu, etc. That is OK if you are not a vegetarian but trying to cut meat, but if you really are a vegetarian, smell of those items are not desired. For this matter the recipes are not really vegetarian ones, at least not for me. I still praise the book as successful one because it includes many exceptionally good options. I wished it had more stew recipes though. This cookbook is easy to understand and does not require a lot of cooking skill.The recipies are easy and delicious, and a lot of them use the same basic ingredients so you can mix and match with appetizers and dinners.I am very happy with my purchase. We just got back from a wonderful trip to Istanbul and Greece and I must say upon returning I was looking for some more of those wonderful meze and the Turkish Delights (yum).So I took a chance on this cookbook since there aren't many (any others) out there that are vegetarian never mind vegan!I'm really enjoying this cookbook - the first 76 pages (out of 249 so that's not a big deal) are indeed history/travelogue but its kind of fun to flip through and the pictures were of some of the same places we visited so that was neat.Just before the recipes there's a section on subsitites and here the author gives you the info you need to find certain ingedients that might not be in the local supermarket - e.g. there's discussion of egg substitites and where to find them, non-dairy butter substitites and where to find them, meat/fish substitites and where to find them etc. In the recipes there are some ingredients like non-meat chicken broth that is called for.Why not just go with a vegetable broth?I did.Anyway, the recipes have all been great so far.I've tried mostly mezes so far - the fried carrots, the fried eggplant with two sauces, stuffed grapeleaves (mine never turn out looking like they should - need more practice...).There are wonderful soups in here - the only one I've made so far was the hot and spicy soup, but others like the lentil look good too.I definitely recommend this cookbook.I had a *really* hard time finding vegetarian dishes in restarants in Istanbul which is why I enjoyed a lot of mezes, so I can see why there are recipes in here (like Sultan's delight) that use meat substitutes. 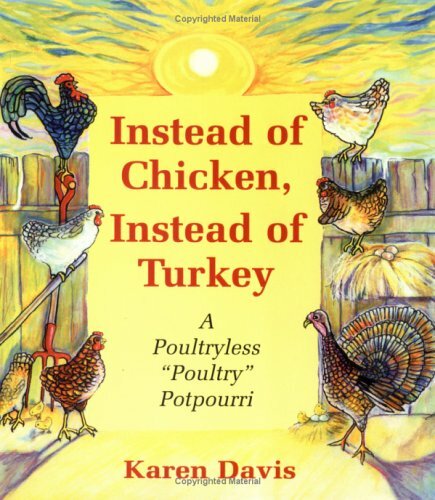 I think this is quite authentic and the author did a terrific job at trying to bring the Turkish flavors to the vegetarian table! I tend to be very critical of most cookbooks because they usually end up having a few good recipes each, but then take up a lot of room on the shelf.But this one has NEVER disappointed me. There is such an array of really tasty, creative, and many very EASY to make recipes. But the best part is that there are dishes that I can make for the entire family. Highly recommended. I've also bought this for wedding gifts and have heard great reviews from them as well. * Macaroni and Chickpea Salad -- you can't believe it's not traditional egg salad. * Red Pepper Chofu w/ pine nuts and spinach -- colorful, really flavorful, and major hit at parties even among the carnivorous. * Shepherd's Omelet - you won't believe it. It's tofu blended to look, taste, and feel just like a scrambled egg omelet. * Tofu Eggless Salad - great picnic food. * Lemon "Chicken" - out of this world. * And for the kids -- lots of mild tofu nugget type dishes. * lots of desserts too. I own countless vegetarian cookbooks and this is the ONLY one that has never let me down.Every single recipe I prepared (over half of all the recipes in the book) has been successful -- great tasting and easy to prepare.There are many recipes in here that young picky children will eat as well. A superb contribution to the vegetarian cookbook shelf. One of the most fascinating and unique aspects of urban life in Turkey is the variety, richness and quality of foods one can purchase in the streets from itinerant vendors. Consisting of a wide range of culinary delights, from fresh produce to prepared meals sold on hand-pushed carts, in glass display cases mounted on wheels or simply in baskets and trays - Flavours of the Street: Turkey documents a wide variety of these street foods. These street foods comprises of a rich palette of colours, tastes and smells that constitute a distinct urban culinary culture, yet nowadays rapidly disappearing under the impact of globalisation, especially after the proliferation of large supermarkets and fast food chains since the 1980s. Flavours of the Street: Turkey also demonstrates the gourmet culinary possibilities inspired by these popular street foods. The colourful varieties of street food is documented in the book by season - Winter, Spring, Summer, Autumn - together with their recipes, historical background and cultural notes and illustates them with beautifully taken photographs. These photographs will give readers a good feel of the vibrant street food scene in Turkey. This is one book that all food lovers must add to their collection. This book is beautifully photographed & presented, and i like the history of Turkey, the cuisine and customs, all of which are accurate.The recipes cover a good range of regional Turkish cuisine, however they are somewhat adapted to Western chefs and not 100% authentic.The first thing my Turkish husband said after leafing through the book with me was, "This is not Turkish. "I still enjoy it for it's beautifully presented dishes range of dishes, however I would have preferred if Ms. Basan notated substitutions more consistently, rather than listing the substitutions in the recipes.for example, sigara boregi, and all other pastries are made using turkish yufka - which is slightly thicker than Greek filo. But her recipe calls for feta cheese & filo. I am from NYC and live in Istanbul, and I know that you can at least get yufka in nyc, but I understand that yufka and beyaz peynir are not easily available outside of Turkey. However, these pastry rolls are made from round sheets of yufka cut into triangles, so the finished pastry looks different.I also question her use of cheddar & parmesan in smoked aubergines in cheese sauce, both of which are "imported cheeses" here in Turkey and her listing "ghee" and indian term in another recipe.I also question the photo of Anatolian bulgur with nuts and dates, which pictures dried figs instead of dates in the finished dish. 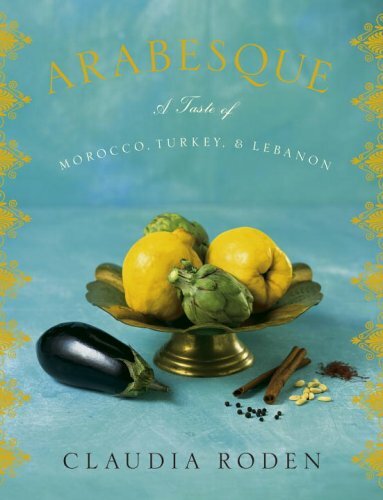 if her intention was to accurately report & represent the glorious cuisine of Turkey, i don't understand her free substitution of ingredients in the titles & recipes.However if you are not looking for absolute authenticity, this book is filled with beautiful recipes. How I won my husband's heart. This is an incredible cookbook.Quite frankly, after using this I have little patience for other cookbooks.If you follow the very clear instructions, you will make dishes as good or better than you can get in restaurants in Istanbul.I won my Turkish husband's (and his parents') hearts by cooking dishes from this book.We've been together 20 years now and I still cook very regularly from this book. Square trade paperback, 335 pp, color illustations. Bibliography and Index of Recipes. Nowhere has there ever been a city more famous for its bazaars than Constantinople (now Istanbul), Turkey. Standing at the gateway from Europe to the East, the once-fabled Byzantine capital became the center of the vast Ottoman Empire, which at the height of its glory spread East-West from Baghdad to Tripoli and North-South from Budapest to Cairo. Every Ottoman city was a shopping center, and as early as the sixteenth century Western travelers wrote of the glories of the bazaars across the Eastern Mediterranean and from beyond. 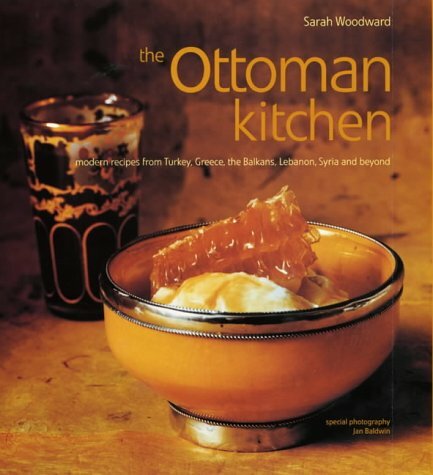 The Ottoman Kitchen explores the culinary traditions of the region, and offers a collection of practical recipes for up-to-date versions of classic dishes. Interwoven with illuminating tales of history and culture, over 100 photographs are featured-stunning recipe pictures and evocative location shots of modern-day life. Much-traveled recipes include the luscious pastry baklava from Armenia; the egg and lemon sauce known to the Greeks as avgolémono, with its Byzantine origin; and the boregs or pastries for which the Turks have long been famous, modeled on the dumplings of Mongolia and China from where the Turkic tribes came west. Then there are the dishes, such as Circassian chicken and Albanian liver, whose very names denote their origins. This book is not a total waste of money, the photos are fabulous.While I cannot speak for the recipes from outside of Turkiye, I have to say that this is a collection of the worst Turkish recipes I have ever seen in my life, bar none.In the discussion portions of the book, the author states that she has collected recipes from many famous Turkish chefs, but she has apparently missed a well-known secret of Turkish households and restaurants--no Turkish cook *ever* gives out the true recipe!From the recipe for Imam Bayildi that doesn't use fresh (or even canned tomatoes) to the recipe for Gozleme that uses yufka, these recipes are designed only to be prepared for those who have no previous experience with Turkish food.For anyone who is looking to recreate the fabulous dishes they experienced while on vacation or who are wanting to impress a Turkish boyfriend (or mother-in-law), please do yourself a favor and skip over this book (unless you're wanting to get rid of the Turkish boyfriend or mother-in-law! ).If you've already purchased this book and are looking for a way to recoup your investment without unloading it on some poor unsuspecting person, do what I did: cut out the photos and frame them! My cred:I spent years living in Istanbul with my Turkish husband and cooking for my mother-in-law--without complaint. I originally got this book about 5 years ago. I believe I enjoyed the book at first because of the beautiful pictures and gorgeous text. I've tried some of the recipes and they were good over the years including the Imam Bayaldi and mezze dishes. 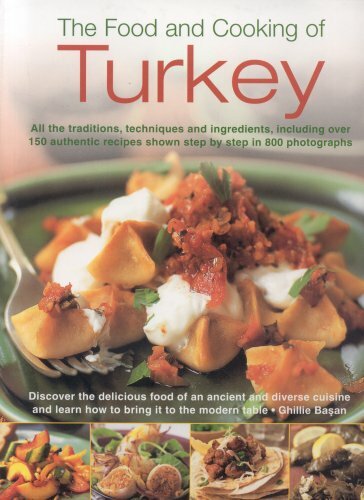 However, as I've become more familiar with Turkish cuisine, I am less enamoured with this cookbook. For Manti, they suggest using meat tortellini smothered in yogurt sauce. I've gorged myself on manti more times than I care to remember and cannot see how meat tortellini is a fair substitute. 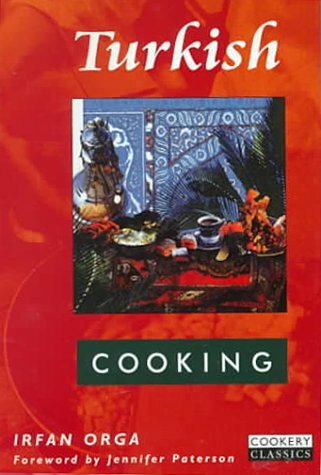 I much prefer "The Art of Turkish Cooking" by Neset Eren. It's not beautiful but it is practical and useful for this yabanci. 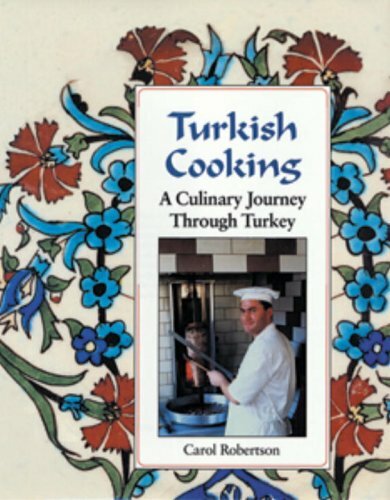 A fair introduction to Turkish cooking. I am a dedicated self-taught Turkish cook, and became hooked on this type of food since spending a year living in Turkey many years ago. 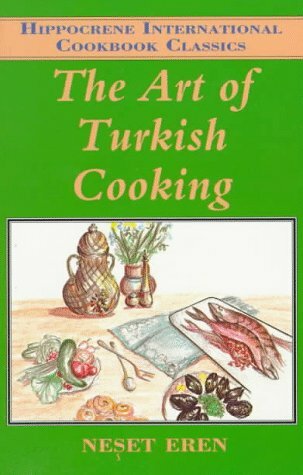 I have an extensive collection of Turkish cookery books, but I have the feeling that this one was written as a light, middle-of-the road introduction to this style of food, aimed at a US audience. I think it's probably the least-used book in my collection. It's not that it's badly done - all the ingredients would be easy to find in many parts of the world, and that's extremely important; in addition, the recipes, apart from one HUGE boo-boo, are authentic and easy and straightforward to make. What on earth posessed the author to include bacon in a collection of recipes from a Muslim country is entirely beyond me. Although it might totally shoot in the foot any ideas of authenticity for the remaining recipes, it is actually the only mistake I have found of this nature. Very annoyingly the author insists on referring to a traditional and universal Turkish staple, borek - as pies, which they are most definitely not. Anyone actually going to Turkey and trying to obtain a 'pie' would end up both disappointed and hungry. I find it irritating because it makes the assumption that 'borek' would be too difficult for people to say or something, and I'd contest if 'borek' is too difficult for non-Turks to attempt to say then probably cookery is beyone their ability as well. In addition, the idea of a 'pie' is inaccurate, as the idea it conjures up in the mind of a non-Turk is nothing like actual 'borek'. I mean ok, pastry is involved. That's as far as it goes. Those little niggles aside however, if you know nothing about Turkish food, and you're interested, this is an ok option to choose, although I would recommend other titles over this one if available. Gulseren Sancakli's & Margaret Oliphant's little book is a diamond. A million times better than this and, although small and cheap, it has been in constant use in my kitchen since I purchased it in Istanbul. There's another book which I'd also rate a bit higher than this, despite the horrible orthography, and that Inci Kut's book. It's good for ease and authenticity, you just have to not mind the spelling too much. However, it's pretty nearly unobtainable now I think and the Oliphant/Sancakli one is a better bet. Alternatively, if you're looking for something a bit more authentic & interesting & you have more familiarity with Turkish food, Ozan Ozcan's book is a much better bet. I am about to send the book back, for the following reasons : - a large part of the book is not concerned with food, but is an account of the author's travels. I think the presentation of the book should have made this clear. - Many recipes rely on meat substitutes. It has always struck me as the sign of a sad lack of imagination when vegetarian food tries to mimick meat-based cooking. It is particularly regrettable when one writes about Turkish cuisine, which has some of the most delicious NATURALLY vegetarian dishes. Often one brilliant idea is manipulated differently by each cuisine. Take flat bread: In Spain we find Coca de la Huerta, a summer vegetable flat bread from the Balearic Islands. France offers Provence's Pissaladiere, laced with anchovies, onions, and olives. You're probably familiar with Italy's great flat breads (like Focaccia con Gorgonzola e Pinoli), but have you ever tasted Lahmacun, a Turkish lamb and tomato pizza, spiced with cinnamon, allspice, and cloves? The Mediterranean plays the same game with savory egg pies. You can't enter a tapas bar in Spain without being confronted by some sort of tortilla, the ubiquitous Spanish omelette that appears here with caramelized onions as Tortilla de Cebollas a la Andaluza. In the South of France an omelette might be stuffed with pistou (the French equivalent of Italian pesto), and in Italy you would find the Italian equivalent of the omelette the frittata -- made with roasted sweet peppers. In Greece, the egg has been transformed into a Sfoungato me Kolokithia Apagio, a baked omelette with rice, zucchini, leeks, feta, and mountain herbs. In Tunisia, echoes of the French occupation can be tasted in the ajja, a traditional omelette filled with Tunisia's own spicy merguez sausage. Joanne Weir, a la Chez Panisse, is a wonderful chef and this award winning book is fantastic. In this book Joanne shares her favorite hand-picked recipes from her travels around the Mediterranean. I love combining hearty courses from France and Italy with salads and small plates of Greece, Turkey and North Africa. This book is by far the most exciting and spicy of her books. Her cooking directions are excellent. The anecdotes and back-stories that serve as introductions to the recipes are fun. I cook using many of Joanne's books. This is my favorite. The Italian, Spanish, and French dishes are spot on. The Greek, Middle East and Turkish fantastic. I love to mix the salads from Eastern Mediterranean with main dishes from the Western Mediterranean. Joanne gives precise instructions and I have gotten a lot of mileage out of the techniques I've learned from this book. If you get a chance catch her show on PBS (www.weircooking.com) or a class with her at 'Sur La Table' (www.surlatable.com.) She's a joy to learn from. oh this book is bad!!! I believe those who rated this book well are not familiar with the region.Joanne Weir makes so many mistakes that I am shocked this cookbook was approved by a publisher. (Pstt, the publisher had no idea about Mediterranean cooking either).If you are interested in mezes try Joyce Goldstein's Taverna book which is much more reliable. 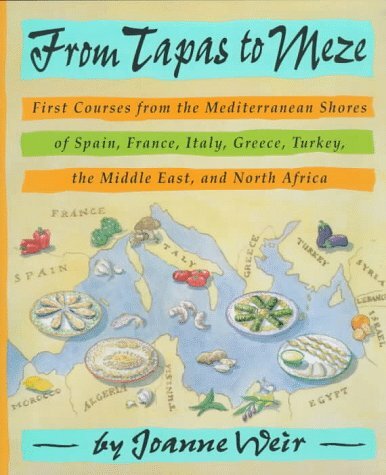 (Tavernas are about mezes, and tapas kind of food).If you want even a more detailed book on Med cooking in general, then try Clifford Wright's phenomenal "Mediterranean Feast", a James Beard Award winning title. On the first season of Hell’s Kitchen, working mom Elsie Ramos was clearly the audience favorite, though she didn’t ultimately win. She even drew accolades from curmudgeonly chef Gordon Ramsay, who praised her no-nonsense approach to cooking and her simple but delicious Turkey Tacos and Chicken Soup. But while competing on the show may have been tough, it was no tougher than the challenge Elsie faced every night after a long day at work–getting a tasty dinner on the table fast for her longtime boyfriend and their hungry boys. Now, in Elsie’s Turkey Tacos and Arroz con Pollo, Elsie shares more than 100 of her tried-and-true, Latin-inspired recipes for family-friendly weeknight meals. As a working mom, Elsie knows the pressures of putting satisfying, healthy meals on the table night after night–her kids’ typical greeting is not "Hello" but "What’s for dinner?" 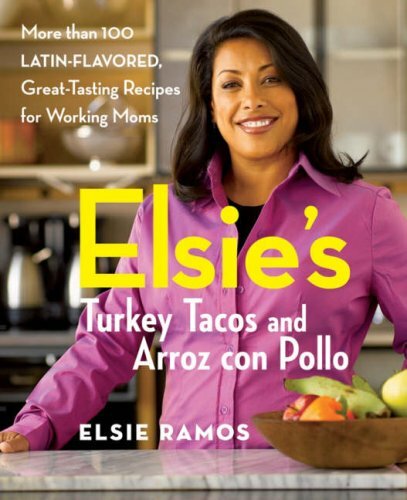 Elsie’s recipes offer ready-made solutions for great-tasting, easy-to-prepare meals, from one-dish favorites like Baked Ziti and Shepherd’s Pie to dishes that draw on Elsie’s Puerto Rican heritage–Arroz con Pollo, Fried Sweet Plantains, and Puerto Rican Baked Stuffed Meatloaf, among others. For a single working mom this book is great. It has quick meals that are easy to follow and the dishes are delicious!!!! The recipes were not as highly flavored as I like, so after a few tries I simply added twice as much sofrito or sazon as recommended. There are so many cookbooks, so to be sure, I checked this one out from the library before buying it. I loved every recipe, but then this is a favorite cuisine for me. You need to like beans and rice, and simple Mexican/Puerto Rican/Latin flavors to really enjoy the book.Her recipes are so easy and great tasting. She gets home at 5:30 and then feeds a family with 6 boys, so nothing is too fancy for me to do at home.I love the latin flavors that she uses, yet the ingredients are available at regular grocery stores (though much easier to find at Mexican markets). Arroz con Pollo - excellent! I made Arroz con Pollo (Chicken & Rice) for my family.It was fast, fun and delicious but most importantly, it satisfied my 3 boys' limitless appetites with healthy food.The cookbook was easy to follow and I look forward to heating up my kitchen with other Latin recipes.I am very glad to have Elsie's recipe book! 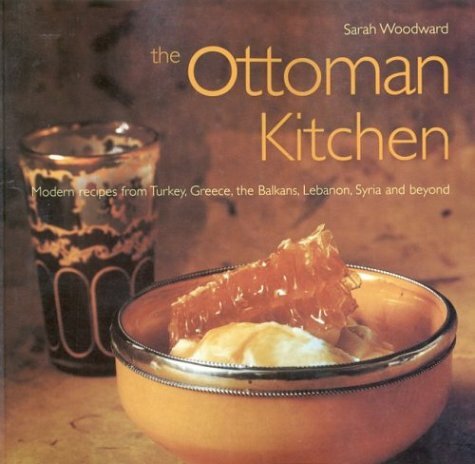 The Ottoman Kitchen makes for a delightful journey to this historic area.Having visited Greece and Turkey two years ago, the book immediately caught my attention. 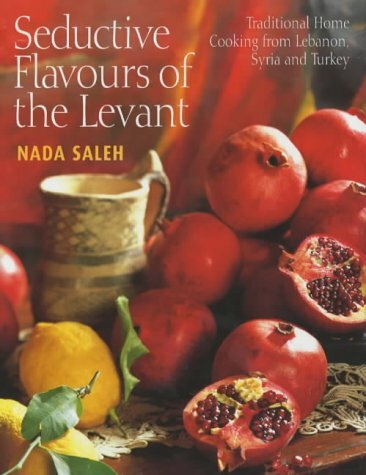 The recipes are accompanied by an interesting overview of the area.One should not be too surprised that Turkey and its neighbouring countries offer cuisine that is similar in many ways.These countries' common past is the reason for this. The author has adapted the recipes for a North American kitchen.There is no need to obtain what might be unobtainable ingredients in North America. 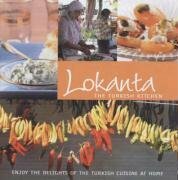 The book bought back many memories of this fascinating region.I have already tried my first recipe (Topkapi pilaf), and intend to try many more.